The June door of the month is the new Madison door style featuring the beautiful Stone Brown paint with a Harbor Brush Glaze. ​The May door of the month combines Holidays' newest door style, Seaside, with the new 125 edge, in Granite, a new deep grey, on Cherry. ​Our advice — take the time to think through your design. Your kitchen has to be equal parts function and beauty because, after all, your kitchen will be lived in. 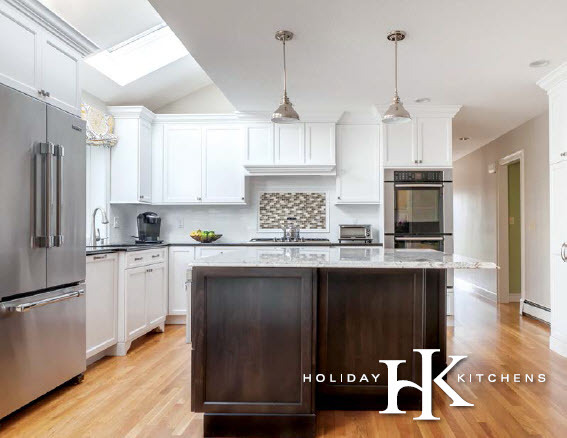 Start with our checklist, then begin gathering ‘what you like’, then utilize the expertise of a Holiday Kitchens’ dealer to pull it all together. One Step at a Time — Until you visit your Holiday Dealer — Take a peek at some of our Dealers amazing design work in the Coffee Table Book. ​Deciding to redesign a space in your home might just be the easy part. Figuring out how to create the space you dream of – within the parameters of your pocket book – might just be the trying part. Is it possible? It is possible, says Virginia based Holiday dealer. Brillo Home Improvements in Milwaukee Wisconsin has achieved yet another milestone with their design work. ​Brillo Home Improvementsin Milwaukee, WI was established in 1977 and making a name with their over-the-top design work, with Awardsto prove it. You must check out their portfolio. Holidayis proud to have them as a Dealer! ​Kitchen Design Partners was founded on the principles of mutual respect, partnership and design expertise. Located in Northbrook, IL, Nancy Jacobson has demonstrated her specialty in space planning and cabinetry design with clients throughout the North Shore and Chicago. Nancy is an active member of National Kitchen and Bath Association and SEN Design Group. ​Our clients for this project were a younger professional couple with two small children and a dog. They came to us with the challenge of creating a WOW looking space that blended with the décor of their home. Their top three criteria were more storage space, a gourmet cooking, and an island with seating – all were equally important. ​A white kitchen is clean, cheerful and timeless space that provides a feeling of warmth and comfort. White kitchens are lighter, simpler, and can be traditional and modern at the same time. 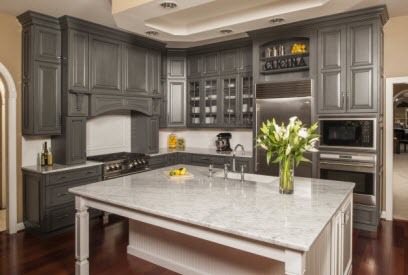 It is no wonder that white continues to be the most popular among painted cabinetry recently specified by 59% of NKBA member kitchen designers, while other colors were specified by only 38% of designers according to the 2012 Kitchen & Bath Style Report.